Special thanks to Carla Hurchalla and Betty Ryall who organized the "Authors in Residence" program at Delmar Elementary and Fruitland Primary Schools this year. 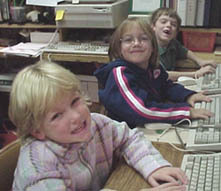 Ms. Elliott's second grade computer students are participating in the program in Mrs. Weeg's lab. We are proud to be working with Lois Szymanski who has authored many books for children. Mrs. Szymanski came to Delmar!! 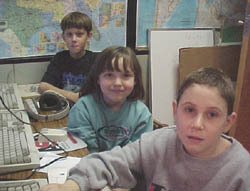 Lois Szymanski's image used with permission.